Click one of the Buttons to find out more! 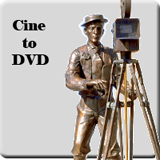 Cine to DVD, Slides to DVD VHS to DVD. Dreamcatcher is base in Minster-on Sea, Kent and we cover Kent – Ashford, Aylesford, Bexley, Bexleyheath, Bromley, Burham, Canterbury, Chislehurst, Cobham, Chatham, Culverstone, Cuxton, Darenth, Dartford, East Malling, Eccles, Erith, Eynsford, Farningham, Faversham, Gillingham, Gravesend, Greenhithe, Hartley, Halling, Hextable, Higham, Istead Rise, Kemsing, Longfield, Maidstone, Meopham, New Ash Green, Northfleet, Orpington, Otford, Paddock Wood, Rochester, Royal Tunbridge Wells, Sheppey, Sheerness, Shoreham, Shorne, Sidcup, Snodland, South Darenth, Strood, Swanley, Swanscombe, Tonbridge, Welling, West Kingsdown, West Malling, Whitstable, Wrotham. Bedfordshire, Berkshire, Buckinghamshire, Cambridgeshire, Cheshire, Cornwall, Cumberland, Derbyshire, Devon, Dorset, Durham, Essex, Gloucestershire, Hampshire, Herefordshire,Hertfordshire, Huntingdonshire, Kent, Lancashire, Leicestershire, Lincolnshire, Monmouthshire, Norfolk, Northamptonshire, Northumberland, Nottinghamshire, Oxfordshire, Rutland, Shropshire, Somerset, Staffordshire, Suffolk, Surrey, Sussex, Warwickshire, Westmorland, Wiltshire, Worcestershire, Yorkshire. 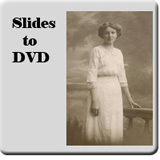 For all your transfers; Cine to DVD, Slides to DVD & VHS to DVD.